Overview: The Mizo-Lushai people cluster encompasses several related Tibeto-Burman peoples of northeastern India, western Myanmar, and eastern Bangladesh. 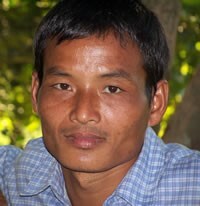 The Mizo are an ethnic group native to the Indian state of Mizoram (literally "Mizoland"). This area was called the Lushai Hills and was a district of Assam before being carved out as a distinct political territory for the Mizo-Lushai people. Mizo is the most widely spoken language among these people groups and Christianity is widely practiced among them.